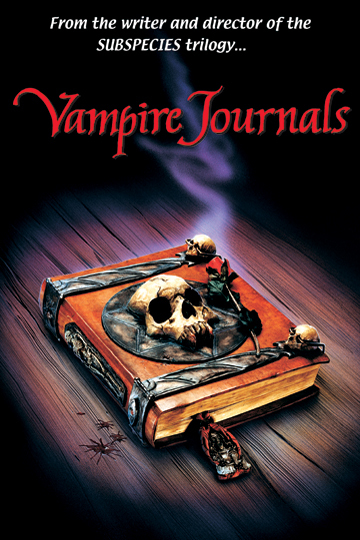 Vampire Journals is a spin-off of the successful SUBSPECIES film series, featuring the vampire Zachary. VAMPIRE JOURNALS follows Zachary, a vampire with a conscience, who hunts the vampire bloodline that sired him. After witnessing the love of his life get turned into a vampire, Zachary destroys both her, and his master, and former protégé of Ash. Serena. Zachary, armed with the enchanted sword of a great vampire slayer called Laertes, seeks out the rest of Serena's bloodline to eradicate them. "I am God s most desolate creature .a vampire with a mortal s heart. I destroyed the one who spawned me and I have sworn to destroy his entire bloodline .the ones who stole me from the warmth of the sun. For centuries I have traveled the Earth, hunting the undead, but the most vicious, most powerful vampire master of all time ASH, remains. Ash is only vulnerable when he gives into his passions - his love of music and women. He has found both in SOFIA, a beautiful concert pianist. My one chance to strike him down approaches, but must I sacrifice the girl to do it? The pain of my quest intensifies with every breath. My hunger for blood is as strong as my hope for salvation. I can never forget that I too, am a vampire." Another exciting entry in the SUBSPECIES canon!